To Heart 2 Wallpaper: . 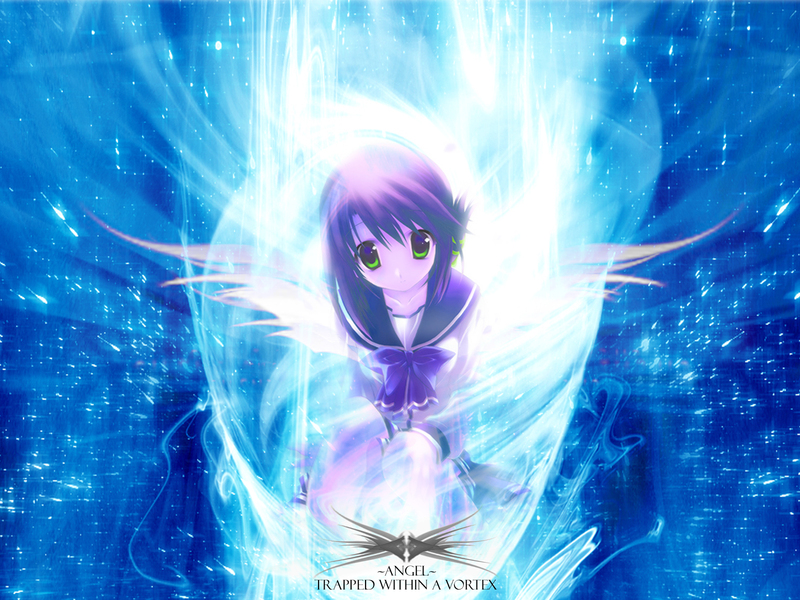 :| Vortex Angel |:. Minitokyo »	To Heart 2 Wallpapers » To Heart 2 Wallpaper: . :| Vortex Angel |:. im sorry i dont no who had this scan - but dont worry! so first of i'd like to thank them - for the scan! ummm... no one else really?!? 7 hours work over three nights. umm, what else?!? i dunno? there was no real inspiration for this wall besides me looking back over my EDEN PROJECT wall and i thought "gee, people reallllllly liked that one, maybe i should try another?!?" anyway, i hope you all like it. thanks again anon. for the scan - i will find you! i've also been working on another and will probably have it posted tomorow, if not, the next day! so i hope you all like - comments and +favs (if you really feel it deserves it) are more than welcome! thats all from me! Anyway... overall is a very impressive artwork! thanks for sharing! very lovely, but I feel like the wings should be more saturated and stand out more - maybe make them a white, fade to pink, fade to blue... over all - damn! hott! 1st comment is its kinda big. everything seems rather low quality. the scan seems rather blurry. the wallpaper looks nice, the girl is very petty, just the green color is a bit bothering. i like the brightnes around the girl, it is very suiting. Wow! That looks great! It's really beautiful and I love the effects you used and the scan fits very well with the background. The green eyes are a bit weird, but it's not much of a problem. Really great work! The bg looks nice and she so beautiful!!!!! Really cute! The background is really interesting and it works well with the image! Great wallpaper! Simply stunning and beautiful wallpaper. The background effects is so amazing. Now that's a lot of work! Very impressive :D :D.
Wow, this one's nice, and the girl's cute! Anyway, one more fav. Keep up the good work! Wow... excellent work I like it alot looks really amazing keep up the good work.